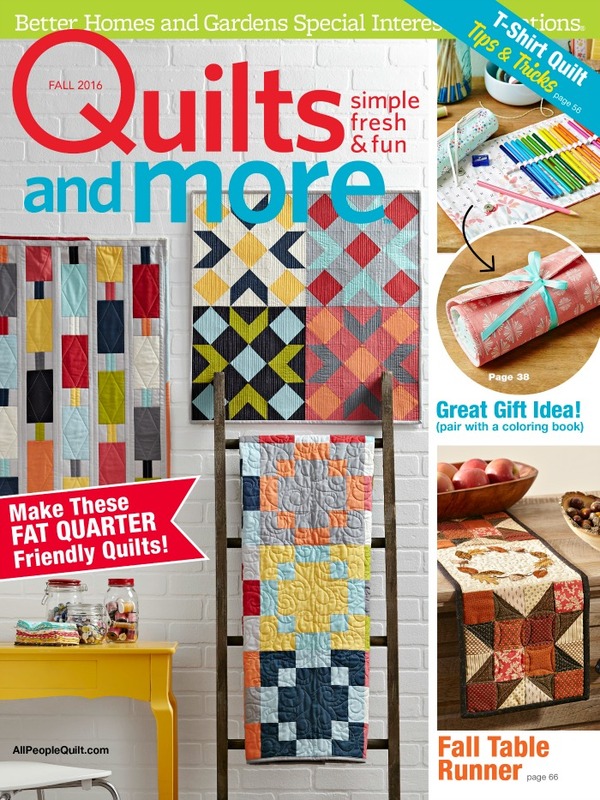 Have you seen the Fall 2016 issue of Quilts and More magazine yet? I'm over-the-moon excited to be a part of this issue & one of the Scrap Lab projects from the issue. I may be just a little excited to be a cover project, too! If you aren't familiar with how the Scrap Lab projects work, here is a run down. Three designers are given a bundle of fabric and asked to design a project that can be made entirely using those given fabrics. For this issue we were giving 12 fat quarters from the new Sweetwater Bella Solids bundle from Moda, plus an additional 1/2 yard of Bella Solid in the color Smoke. If you've been following me on Instagram lately I've been majorly crushing on the Iowa barn quilts that are in our neighborhood. I mean, can you blame me? 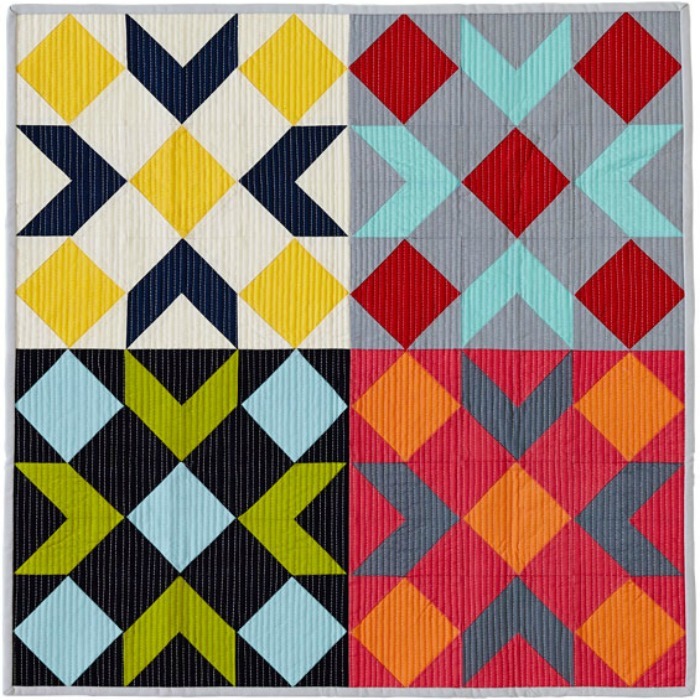 My Scrap Lab project, Mini Barn Quilt, was inspired by these bold designs. You can download the entire step-by-step pattern for FREE over on the Quilt's and More website. Plus, if you want to make your mini quilt just like mine -- or want to make the other two projects from the Scrap Lab -- you can pick the complete bundle up right here from Hen & Chicks Studio in Conrad, Iowa. Images used with permission from Meredith Corporation and Quilts and More magazine. Copyright 2016.